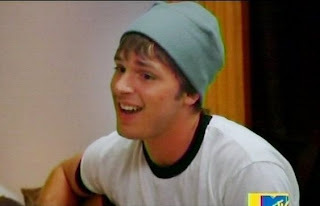 In episode three of Real World Brooklyn, Ryan Conklin pursued his plan to make a song recording during his time in New York. 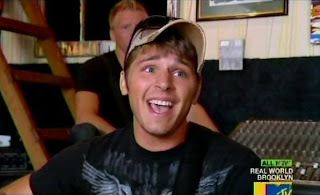 Because the phone calls and written arrangements between BMP, MTV, music managers and music producers isn't very exciting to watch on television, the show had Ryan and other cast members go to Angels & Kings lounge where he 'happened to' meet manager Doug Newman from Crush Management. From that encounter, he got an appointment to meet with music producer Machine. On the day of the meeting, Ryan and sidekick Chet Cannon left to go meet Machine. Chet, as amateur life coach and career consultant, gave Ryan the best advice he was capable of: "Play well today. Don't f' it up." At the meeting, Machine showed interest in Ryan's experience in Iraq, knowing it could be inspiration for Ryan's music and that it could produce compelling results. He mentioned the movie "We Were Soldiers" as an example of a high-quality, dramatic piece that was inspired by combat. Machine then said to Ryan, give me one thing that will sell you and endear you to everybody. ("Bring you into me!") Ryan, incredibly, turned to Chet and asked for advice on song selection. Chet, the never-to-be music mogul, picked his own favorite, "The Tampon Song". Apparently, Chet doesn't follow his own advice not to f' it up. Going along, Ryan felt compelled to explain that the song was written while drinking with army buddies, enjoying a "drunk escapade". Not a song coming from a tragic experience, but rather a song that could create one. Ryan sang his song with enthusiasm. You would want to cheer for him, if you were able to block out the subject matter. The bottom line was that the song didn't showcase Ryan's talent as a songwriter and it got in the way of appreciating his vocals. Machine politely told Ryan that the song was very funny. He also said that Ryan is a cool guy and lovable. In other words, it was the music business equivalent of telling an obese person that at least they have a nice personality. Unfortunately for military loving Machine, he wanted Saving Private Ryan and got Shaving Ryan's Privates. Still, he was very nice about it. Machine's advice was to go build a following (actually accomplished in some way from the airing of the show) and then in the future the sky would be the limit. It had not turned out the way that Ryan had hoped. He really just wanted to do a demo recording and not present himself yet as being immediately ready for a professional career. Afterward, Ryan immediately regretted his song choice (and his reliance on Chet for potentially life-altering career advice) and thought he might have had different results with a different song. That might be true on American Idol, but really the situation was not exactly what Ryan thought it was, so any song would have led to the same result and guidance. Nevertheless, Ryan was disappointed and a little embarrassed, but he tried to appear as though nothing was wrong. That night Ryan tried to take his mind off of his disappointment by laying on his bed and editing his manuscript on his war experience. Fellow cast member Baya Voce, eager to know how things had turned out, tried to talk to Ryan about it. He brushed the experience off as being not too important and just the way he thought it would be. That was so sad. You want to cry for Ryan when he won't. Baya has said that she gets along really well with Ryan, which is totally understandable. Who wouldn't get along with Ryan Conklin? Even a man called "Machine" said he was lovable. At a club one night, Baya thought she was good enough friends with Ryan to do some playful dirty dancing with him. Concerned with how it would look later to his girlfriend Belle (and because he feels awkward with displays of affection with the ladies), he shut Baya down hard by telling her, "I have a girlfriend." At home, Ryan realized that he had done something wrong and while he and Baya were brushing their telegenic teeth, he told her the George Costanza-ish line that he had gotten scared and it wasn't her, it was him. It took holding a large mouthful of spit and toothpaste for him to be able to say that with a straight face. Having hopped on the lame bus, Ryan tried to make things clearer by writing Baya a strange rambling email. Again concerned with his actions being captured on camera, Ryan decided it would be better to write out his words rather than speak them. The message was edited for the viewers to be nearly incomprehensible but the gist of what was presented appeared to be that he would like to be with Baya if he didn't have someone at home that he was afraid to piss off. That didn't make his relationship with Belle sound so good. When Baya read the note she had trouble understanding it. One, because as Ryan later admitted he had been under the influence when he wrote it, and two, because straight boys should only write things like memoirs about fighting in Iraq, not notes on love or relationships. If they need to do the latter, they should just copy from Hallmark. By the way, when I think of the name Baya (Spanish for 'berry') I think of the exclamation of "Bailamos!" from the song with that title. In Spanish the word means 'we dance', which fits well with a dancer like Baya. Maybe Ryan could get some song writing inspiration from a name like Baya Voce to make his own signature Babalu. A thought, use it as you will. Looking for a way to bump and grind his troubles away, Ryan went with the girls to a pole dancing class. At the class, he stretched, he danced, he undulated. He enjoyed himself, although he appeared a bit pained when he had to lay on his back, throw his legs in the air and spread them wide. What would you expect from a guy that's a top? He showed another of his many talents when he humped the pole. Seeing the clip of it, you have to think, now that's a demo tape. It wouldn't get him the career he wanted, but it would at least be a start in the entertainment business.